This last week I learnt that Peter Goodridge has died. He isn’t a well known name in the ceramics world but I had the pleasure of meeting him at the International Ceramics Festival 2015 in Aberystwyth. He was the Site Supervisor and I was a volunteer for the second time. He was an amazing person that inspired those that worked with him, cared about the volunteers that worked with him and he led by example. He found out about my research and what I did on my Masters project and fought for me to be put in charge of social media and live streaming for the event. Peter made me believe in myself that I could be something other than an Academic that I could go out into the world and make an impact by helping connect people with the arts and ceramics. I wasn’t supposed to be returning to ICF 2017 due to work commitments and Peter wasn’t supposed to be returning as site manager but was hoping to reach out to him regardless. Thank you Pete for making ICF 2015 an amazing place to volunteer at, and for making me believe in myself again. 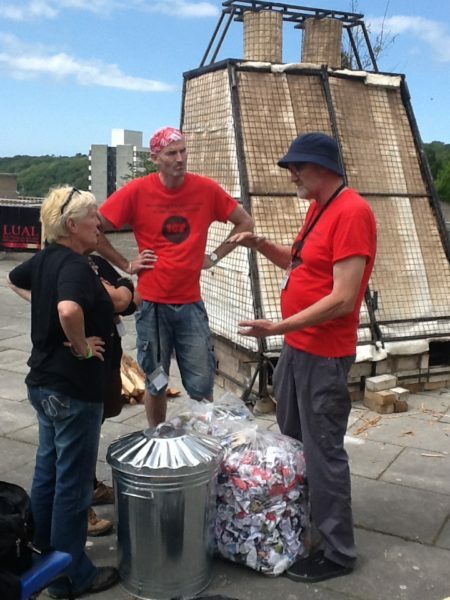 This entry was posted in Uncategorised and tagged Aberystwyth, ICF 2015, icf aberystwyth, in memoriam, International Ceramics Fesitval, Kiln, Peter Goodridge, Wales. Bookmark the permalink.